Paris will wake you up in the morning with the tempting aroma of baguettes, fuel your exploration with its endless cafes, excite your spirit with architecture, history, and art. Paris will romance you, even after multiple encounters. Although many of us Francophiles dream of living in Paris and letting the extraordinary of the city become our everyday beat, we can still make the our experience as “local” as a true Parisian. Like many of you, Paris is not my home, but I feel a bit more at home every time I return. Here are some corners of Paris that I’ve come to learn about through some of my favorite Parisian locals. I hope that you, like myself, will venture off to these spots and live out the Parisian-life fantasy…even if only for a moment or two. Tucked away, just northeast of Sacre-Coeur in Montmartre, is the Square Marcel Bleustein Blanchet. With benches, a small playground, and peaceful walkways, this square offers a breathtaking view of the iconic whitewashed basilica. Take a moment to sit down, feel the immense shadows of Sacre-Coeur fall over you, and relish in the enchantment that defines Montmartre. Parc de la Villete is the third largest park in Paris, though you will not find as many tourists here with the competition of Place Vosges, the Luxembourg Gardens, and the Tuileries fighting for their attention in the city center. 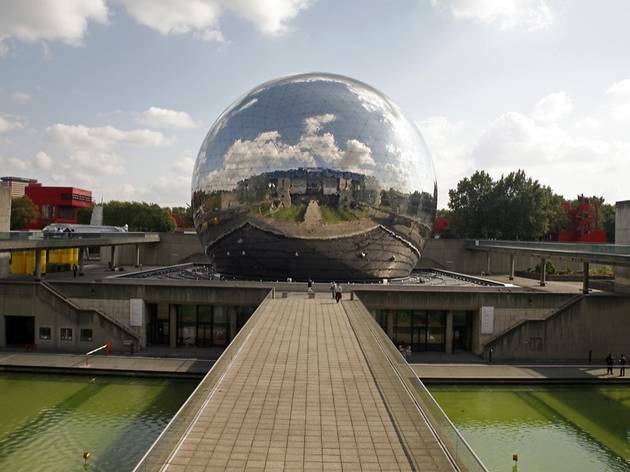 Located in the 19th arrondissemont, the park is a mixture of modern architecture and open-air entertainment. Pedestrians can roam along the canal, bring their children to various playgrounds, explore the Cité des Sciences et de l’Industrie, or the Musée de la Musique, just to name a few. There is an open-air cinema every summer and the park holds various events and festivals throughout the year. Canal Saint Martin connects Canal de l’Ourcq to the river Seine, straddling several popular neighborhoods. It has become increasingly trendy with ethnic restaurants popping up, as well as hip cafes, and community favorites like Hotel du Nord. You’ll often observe Parisians having an outdoor lunch, fishing in the canal, writing along the banks, and relaxing in the sunlight on a warm day. 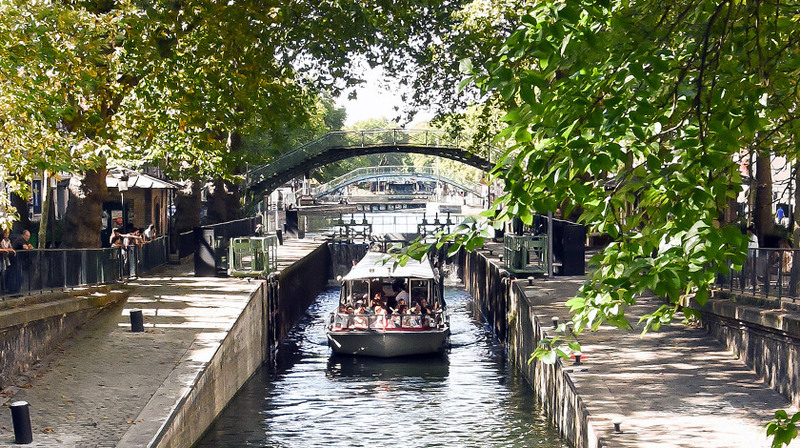 To see more of Canal Saint Martin, check out this walking tour by Corey Frye: A French Frye in Paris. Situated in northeastern Paris, in the 19th arrondissemont, Parc des Buttes-Chaumont is one of the most substantial green spaces within the city. Creating a romantic vibe, the park contains waterfalls, a lake, a suspended foot bridge, and The Temple of Sybil- a monument atop a cliff with views towards Montmartre. Parc des Buttes-Chaumont is much more nature-oriented than many other parks in Paris and will transport you away from the sphere of the populated city center. With a similar feel to Le Marais, Cite Florale is a micro-arrondissemont in the 13th with less tourists and adorable floral, ivy, and vine covered houses. Time truly seems to stand still here as you stroll along the idyllic, flower-named streets. Marche Aux Puces de Saint-Ouen is the largest vintage flea market in the world. With fourteen distinct areas of alleyways, stands, and warehouses, the market offers furniture, art, glassware, books, an infinite amount of little trinkets, and more. Les Puces de Saint-Ouen is located just north of Paris off of Rue des Rosiers and open on Saturday-Monday. 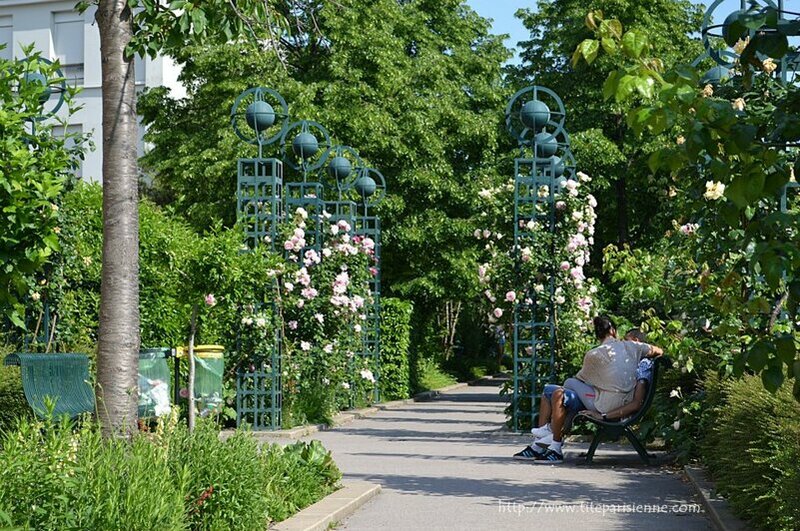 Above the city, a secret garden promenade invites you for a stroll. Coulee Verte is quiet, alluring, and the perfect escape from the streets below. It was built upon on an obsolete railway and now is a frequent spot for locals, located in the 12 arrondissemont. Want to see more of this walkway? Check out this walking tour by Corey Frye, A French Frye in Paris. Rue Daguerre is a lively market street in the 14th arrondissemont that feels much like Rue Cler. With many boulangeries, cafes, and charisma, this street will be one you fall in love with. Rue Daguerre is a “one-stop-shop” where you will find anything and everything you might need, which residents take full advantage of. Attractions like the catacombs and Montparnasse Cemetary are within walking distance. What spots in Paris make you feel like a local? Do you have personal recommendations from YOUR favorite Parisians? Let’s share our experiences in the comments!